The cruise industry in Dubai is witnessing an increase in the number of tourists from key source markets including Germany, the UK and the US. 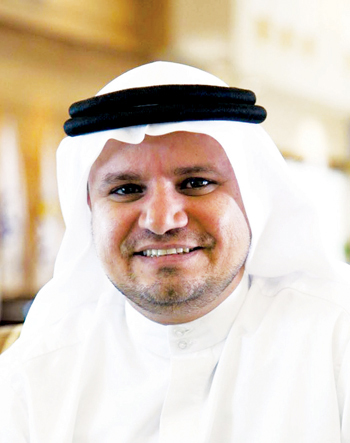 The overall growth in cruise passengers disembarking in Dubai is largely due to the availability of visas on arrival for 46 nationalities, a simplified online visa process and the implementation of the multi-entry UAE visit visa, says Hamad Mohammed Bin Shaik Mejren, senior vice president, Dubai Events and Convention Bureau. The 2014-15 season saw more than 455,000 cruise tourists arrive in Dubai, registering a strong 42 per cent increase compared to the previous season. 'By the end of the 2015-16 season in June, we expect in the region of 500,000 cruise tourists to have arrived in the emirate,' he says. The 2014-15 cruise season saw 107 ship calls arrive in Dubai, registering an overall increase of 15 per cent compared to the previous season. The 2015-16 season has seen Royal Caribbean continue to home-port in Dubai, as well as the deployment of additional and larger ships by home-porting cruise lines Aida, Costa, MSC and TUI Cruises. We expect the season to end with more than 130 ship calls in total. Looking ahead to the 2016-17 season, the arrival of Thomson Cruises will mark the first ever UK-based cruise line to home port in the region, while Celebrity Cruises is also expected to make multiple overnight calls in Dubai. 'We plan to further our efforts to increase visitors from China, India, South America, Brazil, South Africa, Russia and the CIS,' he says. Meanwhile, Dubai’s cruise terminals have been built to the highest standards to offer the best facilities, and this has had a positive impact on the market. Each terminal is unique and designed to cater to the various operations procedures and facilities required by different cruise lines. 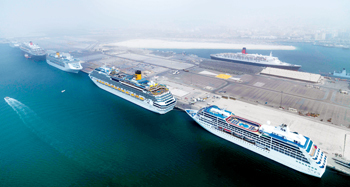 For example, since its opening in December 2014, the Hamdan bin Mohammed Cruise Terminal has successfully hosted several categories of cruise ships from the fleets of some of the world’s leading cruise lines. It is the largest and most modern cruise facility in the Middle East and wider region, serving up to seven cruise vessels at one time and more than 25,000 passengers via its three cruise terminals, he says. Spanning over 27,000 sq m, the Hamdan bin Mohammed Cruise Terminal also offers visitors customs and handling facilities with streamlined immigration and entry procedures coordinated by the General Directorate of Residency and Foreigners Affairs. Features include duty-free outlets, shops, currency exchange, ATM machines and a VIP business centre. The terminal also provides office facilities to related organisations, including the police, customs, immigration, shipping agents and airlines. On intra-regional cruise tourism, he says Cruise Arabia, formed in 2013, is a synergy of six regional tourism authorities, namely Dubai Tourism, Abu Dhabi Tourism & Culture Authority (TCA Abu Dhabi), Oman Ministry of Tourism (Oman Tourism), Sharjah Commerce and Tourism Development Authority (SCTDA), Qatar Tourism Authority (QTA) and Bahrain Tourism & Exhibition Authority (BTEA). Cruise Arabia aims to promote the region as a whole to the cruise industry, strengthening the region’s cruise tourism business sustainability and supporting ongoing growth. All destinations actively work together to transform the Gulf region into a leading cruise destination globally, in partnership with leaders in the cruise industry. 'Unified Cruise Arabia marketing efforts, such as joint roadshows focused on increasing awareness of Gulf cruise holidays and their offerings, have started to result in tangible opportunities for growth for us,' he says. 'To support this, we are continuing to work with source markets such as Germany, the UK, the US, and Italy, and are also conducting roadshows to create awareness of cruise opportunities in Dubai and the wider Gulf region in order to tap into the growth of potential new source markets such as China, India and South America,' says Mejren.